If you were to scour the recipes on this blog with a keen eye, searching for elements of other people’s work, you may well find the odd dish that has taken inspiration from a particularly good book or TV show (although I will never steal from Rick Stein – there’s something about the way in which he treats people around him that I don’t like). I can say however with great confidence that this one is unique. No one has ever cooked this dish before (please don’t google it, I don’t want my bubble burst). And it could very easily be vegan if you wanted it to be – you just have to leave out the butter, cream and parmesan. Although I didn’t. So here goes – start by making your tomato ragu. Fry a finely chopped onion along with 5 cloves of garlic and a small red chilli in a pan and once soft, add 4 finely chopped tomatoes, a load of tomato juice (or tomato puree) and a slug of red wine. Season well and then add the chopped stalks of a large bunch of basil. Once the sauce has reduced and has a rich flavour, take it off the heat and once it has cooled a little, add a handful of small yellow plum tomatoes chopped in half. Set aside. Now make a bechamel with soy or almond milk (or cow’s milk if you prefer) by melting a huge lump of butter, incorporating plain white flour and adding the milk gradually over the heat constantly stirring until you have a silky smooth sauce. Add a 100ml of double cream, lots of grated nutmeg and season well. Set aside. Take a large bunch of watercress (as with spinach you’ll need more than you think) and heat in a pan with butter. Once it starts heating through, add a couple of large spoons of cream cheese or ricotta. Set aside. Now to assemble it all. Take a large oven dish, put half of the tomato ragu into the bottom and top it with a full handful of fresh basil leaves followed by a layer of lasagne sheets. Spread a thin layer of bechamel over the lasagne. Now thinly slice (a mandolin is good here) a raw sweet potato, skin and all, and places the slices over the bechamel. Spread another thin layer of the bechamel over the sweet potatoes and then spoon the watercress mixture over the top. Place another layer of lasagne sheets, followed by the remainder of the tomato ragu and finally the rest of the bechamel. Grate parmesan over the top and you’re done. You can now store the lasagne until you’re ready to eat. This entry was posted in Vegetarian and tagged lasagne, Vegetarian on October 8, 2017 by Jonny Kaldor. Sunday morning, my first sourdough loaf is in the oven, it’s cold and crisp outside, William just came downstairs and gave me a hug, Immie and Oscar are fast asleep, Gardner’s world is on BBC2 and I’m about as happy as a 47 year old half Hungarian can be. The sourdough starter has been alive for a week now and this loaf started its journey yesterday evening at about 6pm, so it better be good. But we before we tackle the bread situation, I’m going to start with a plug for my new best friend Nigel. Nigel owns a truffle business. He imports truffles from around the world and sells them online through his site http://www.trufflehunter.co.uk. We became acquainted on a course aimed at helping small businesses grow – the idea is that you meet other business owners and learn from each other, share experiences, grow your network etc etc. I met a bloke who sells truffles. Pretty much hit the jackpot I reckon. Not that it matters, but he’s a pretty good bloke too – it’s not all about the truffles you know (yes it is). 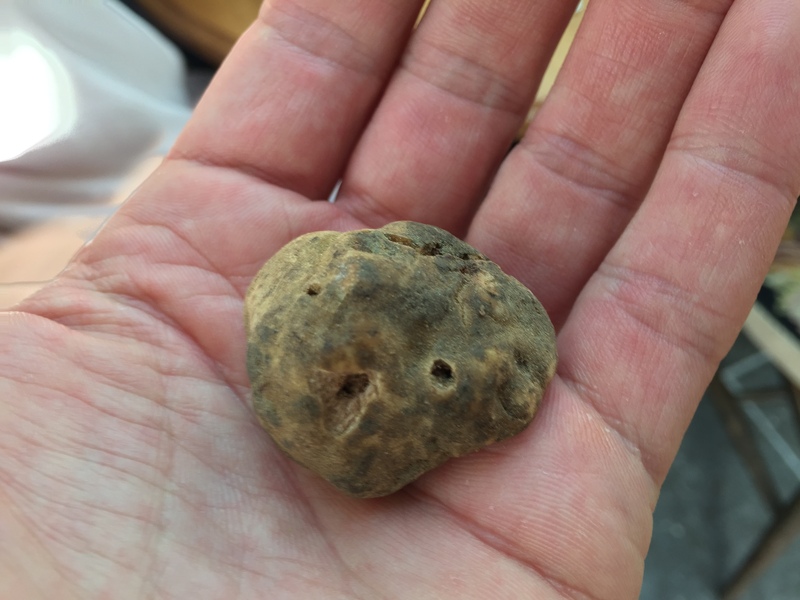 Anyway, check out his site and buy something – I hear the minced summer truffle is very good – mine hasn’t arrived yet but I’ll report back when it does. And I will most definitely be using his black winter truffles for dinner at my sister’s on Christmas Eve (mates rates!). Oh yes I will. Before you can start baking you need a sourdough starter, which takes about a week to get going. There are a bunch of ways you can do it – I used wholemeal flour, water, honey and yoghurt in mine, but I’m sure there are better ones out there, so I recommend googling it and picking one that suits you. Making the bread don’t require any more effort than a normal loaf, but it does need time as the sourdough starter works more slowly than yeast, so you need to get going the day before you want to eat your bread. Start by making a basic bread mix with your preferred flour (I used a strong white flour for this one), a little salt and plenty of olive oil, and then rather than pouring in water, use the starter instead (and then replenish the starter with fresh flour and water). Mix and knead the bread throughly until you have a lovely smooth and very elastic dough. Let it prove for a couple of hours in a bowl at room temperature covered in a damp cloth. After a couple of hours, knock back the bread, shape it into a ball and put it in a banneton. I don’t have a banneton (yet) so I used a large bowl lined with a teatowel well dusted with flour. Cover it all and put it in the fridge overnight. In the morning, heat your oven to 225c and place a tin in the oven filled with boiling water to ensure you get a nice steamy atmosphere in there which will give the bread a good crust. Once it’s reached temperature, tip out the bread onto a baking tray dusted with flour, slash the top of the bread with a sharp knife, dust it with more flour and stick it in the oven for about 45 mins. I turn the oven down to 200c after about 10 minutes. Check the bread from time to time to ensure it doesn’t burn. Take it out, cool it, eat it. Postscript – I’ve just broken into it and had a few chunks with a slab of butter. It’s so much lighter, crunchier, airier and tastier than bread baked with yeast. You have to try this. This entry was posted in Vegetarian on September 17, 2017 by Jonny Kaldor. We’re all still reeling from one of the strangest days in politics seen for some time. Possibly the most unpopular man in recent history has just taken power and we’re quietly scratching our heads and wondering what the next four years will hold for us all. And if the first White House press conference held by his press secretary is anything to go by, we’re heading into strange days. It’s now fairly clear that propaganda and misinformation will form the backbone of this next administration – I wonder how long before he attempts to bring in measures to gag the media? I wonder what it would take for him to be able to do it? I wonder if he has the means to exploit global events that will undoubtably unfold over the coming years in order to slowly put enough fear into the the minds of his people that they will voluntarily lay down and allow him to slowly, piece by piece take away their basic rights and their freedom of speech? He clearly doesn’t have the brains to do it, but I suspect the people he surrounds himself will. It’s scary. 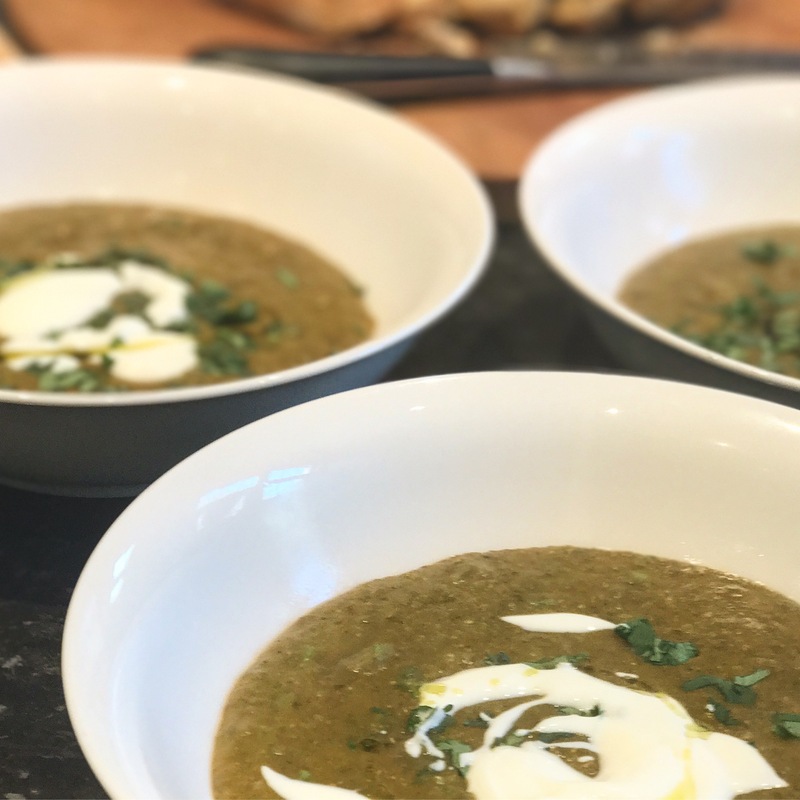 Meanwhile, in Gentlemans Row, we’re making soup for lunch – and it’s a good one – all doable with a few basic ingredients that you have to hand. Roughly chop an onion, a couple of carrots and a few celery sticks and fry them gently in a large saucepan with lots of butter and a little olive oil. When they have softened, add a handful of spices (I went for cumin, black pepper, dried chilli and salt), boiling water, a few sprigs of thyme, some fresh coriander stalks and some chicken stock. Then add a load of lentils – I used a mix of split red lentils and puy lentils. Let it all simmer away for about 20 mins and once it’s ready, blend it until rich and smooth. When serving, add a large dollup of yoghurt and a handful of finely chopped coriander. 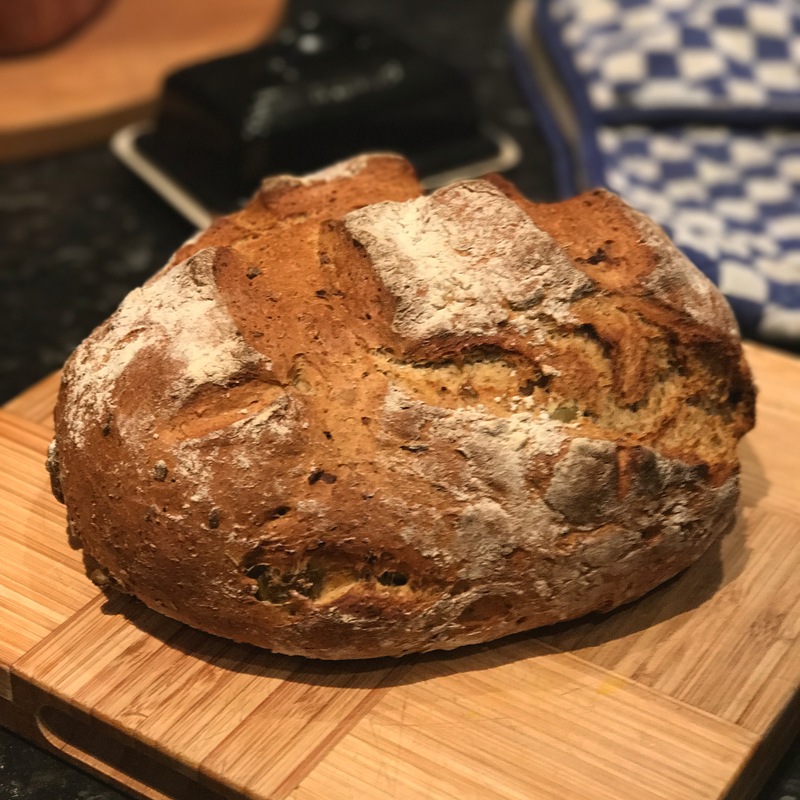 This entry was posted in Vegetarian and tagged bread, lentils, Soup on January 22, 2017 by Jonny Kaldor. I haven’t had many relationships in my life and as a consequence, I’ve had few break ups. That said, apart from one of them, they all have one thing in common: a single moment when something changes from being ever-present to being non-existent. 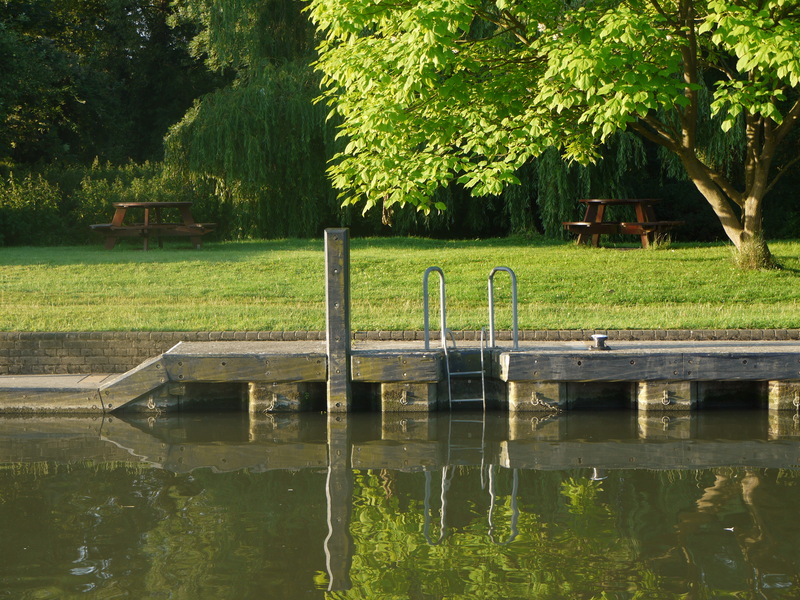 Few things in life are as abrupt or fundamental in how they alter your day to day existence (apart from those events far too sombre to cover on this blog). It’s something I suspect none of us are really well equipped to deal with – shifting from having someone with whom you conduct a steady stream of communication with about your every day experiences and aspirations, to nothing. And the speed with which this change occurs is breathtaking – all it takes is a single conversation. Rather odd isn”t it? This could not be easier. And that’s the point. When you have something as special as this, you must keep it as simple as possible to ensure maximum enjoyment of its unique flavour. (It will serve 6 people as a starter). Take a pack of linguine and put it in a large pan of salted boiling water with a little olive oil. Then take another small pan and in it, very gently heat a finely chopped clove of garlic with lots of olive oil (the best you can get your hands on), a big knob of butter and about a fifth of the truffle, sliced very thinly and broken up into the pan, infusing the flavours into the oil. Now finely grate a couple of handfuls of parmesan (not too much – you don’t want it overpowering the truffle) and chop a handful of flat leaf parsley – set them aside for now. Once the linguine is perfectly cooked, throw it into a warmed bowl, add the heated oil mixture, season with a little salt (not too much as you have the saltiness of the parmesan) and plenty of pepper. Add more oil if required and the chopped parsley then gently mix it all together. Finally throw over the parmesan and shave the rest of the truffle on the top of the pasta, finishing with a last splash of olive oil. 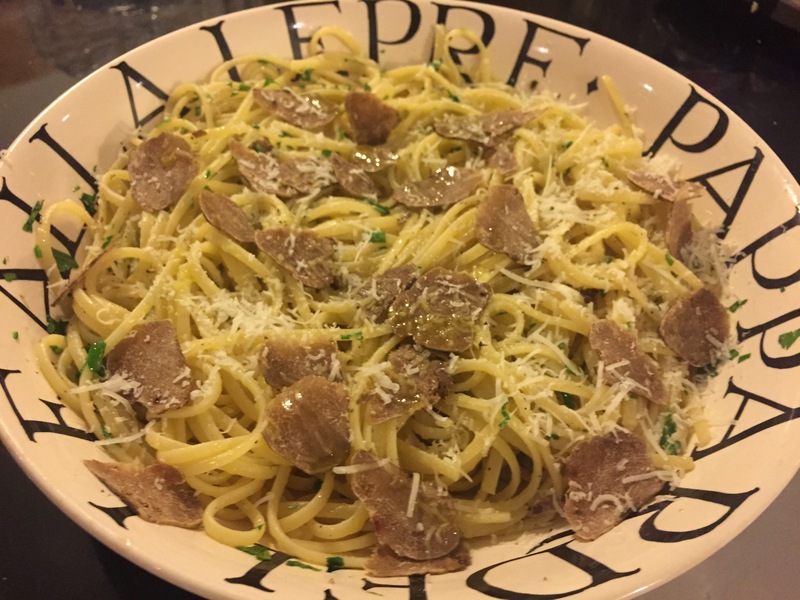 This entry was posted in Vegetarian and tagged christmas, linguine, truffle, white alba truffle on January 11, 2015 by Jonny Kaldor. I’ve been re-listening to The Magic Numbers debut album and it’s far better than I remember it being. It’s an album that I once owned on CD when I was working at EMI, but one that I must have lost – I expect it must have been a casualty of my divorce because it’s nowhere to be seen now. And it makes me wonder – just how much money does the music industry make out of our failed relationships? Consider a typical couple together for four years who each buy let’s say six albums per year. So, throughout the course of their relationship, they buy roughly fifty albums between them. Then let’s assume that the unfortunate pair are torn apart, and the inevitable process of distributing the albums between them begins. The thing is, there are going to be a bunch of those albums that they both want to keep (setting aside the angst-ridden memories that they will churn up every time they listen to them), meaning that the break up will be responsible for a little spurt of album sales – let’s say fifteen albums per break-up over the course of the months following each split? Seems a fair assumption to me. Anyway, as it turns out there were over 150,000 divorces in the UK in 2012, and adding to that the breakups of those poor souls who didn’t make it to the alter (or to the registrars desk), let’s say there are roughly 300,000 breakups each year? So that would account for a whopping four and a half million album sales a year in the UK from break-ups alone. P.S. I’ve just been discussing this with my friend who keeps his 1000 albums separate from his wife’s CD collection for this very reason, just in case (he clearly has great confidence in the future of his marriage). Start by making a rich shortcrust pastry (using 200g plain flour, 100g butter, an egg, a pinch of salt and a little water and lemon juice) and pop it in the fridge for 30 mins to harden a little. Then roll it out and place into a deep, buttered tart dish ensuring you push the pastry gently down into the edges to minimise shrinking. Then trim the top (by simply rolling a rolling pin over the top of the dish to get a perfect cut) and pop it back into the fridge and heat the oven to 160c. Now start making the filling – chop about five good sized onions (a mix of red and white if you like) and fry them gently in a pan with a few sprigs of thyme, butter, oil, salt and pepper. It will take about 20 mins until they are all soft and some have gently caramelised. Take them off the heat and put the pastry base into the oven covered in baking parchment and baking beans for about 15 minutes to blind bake. 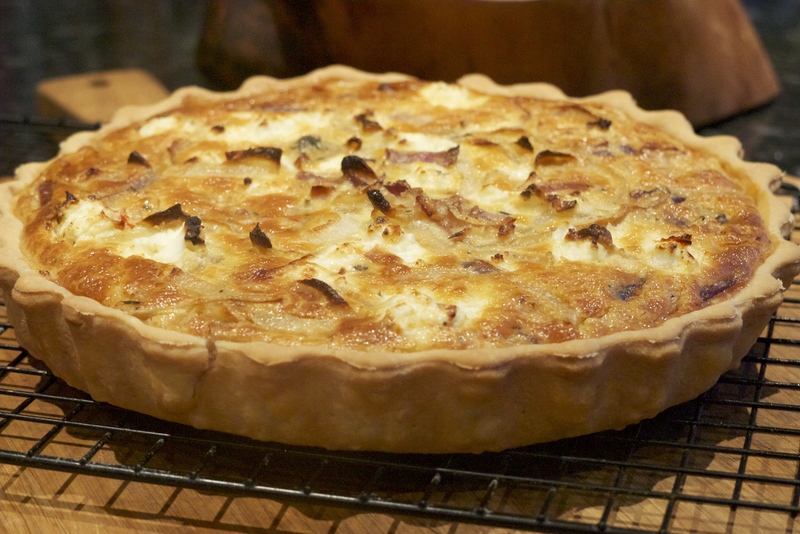 While the tart base is baking, take a large bowl and whisk 5 medium eggs along with about 200ml of double cream, then season a little and add the onions with the thyme removed. Take a little pack of mild goats cheese and break blobs of it into the mixture leaving some behind for the top. Take the base out of the oven and pour in your mixture and then top with more of the goats cheese. Put it all back in the oven at about 175c and let it cook for 30-40 mins. When it’s ready it will have risen above the tin and it will be beautifully golden brown. This entry was posted in Vegetarian and tagged CDs, divorce, EMI, love, music on December 1, 2013 by Jonny Kaldor. The healthiest thing you can stick in your mouth? Here I am in Canada, the nicest, calmest, healthiest, most considerate, eco-friendly, animal-friendly, smoke-free, peaceful place on the planet. 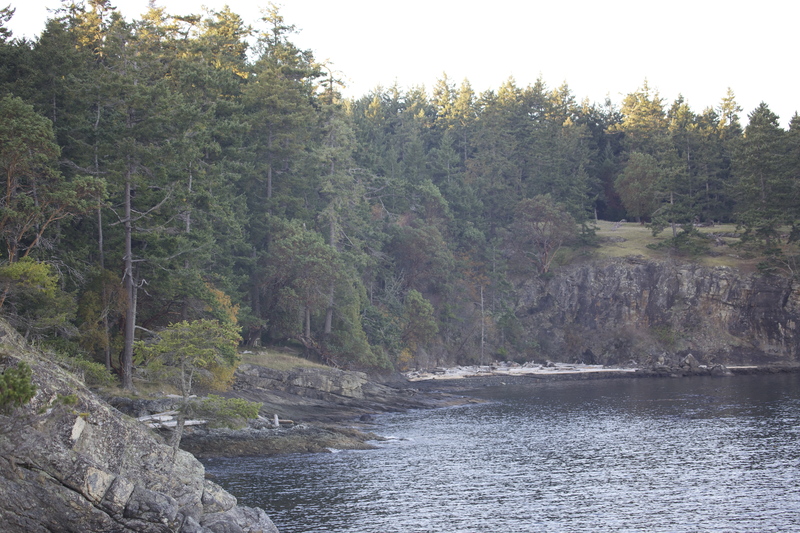 And here I am on Saltspring, island, the nicest, calmest, healthiest, most considerate, eco-friendly, animal-friendly, smoke-free, peaceful place in Canada. I’m trying very hard to fit in, idly chatting to hemp-clad new age market traders about the breed of sheep they lovingly milked to produce their extra-creamy feta along with the organic feed and alba-oil massages they are treated to thrice daily (sadly the market traders have to make do with a handful of Mung beans and a polite slap in the face from their ultra-nourished partner). Take a bunch of fresh kale, a few apples, a thumb of ginger, the juice from two lemons, lots of coconut water, a handful of mint, a scoop of Maca powder (yeah right) and a tablespoon of hemp hearts (yaha) and blend them together with a few cubes of ice (if you don’t have the Maca powder or hemp hearts, don’t worry too much, it still tastes great). 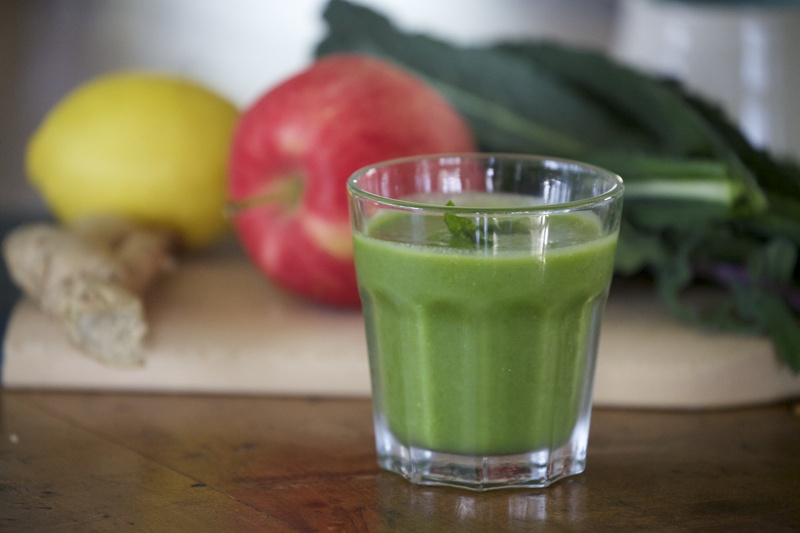 This entry was posted in Drinking, Vegetarian and tagged canada, healthy, Kale, mung beans, smoothie on October 21, 2013 by Jonny Kaldor. Camping. The great divider. It’s a bit like liver, in that as many people hate it as love it (and it’s best not overdone). But either way, If you’re going to do it, then there’s really only one way to do it (apart from briefly) and that’s to steer totally clear of organised campsites, teepees, yurts and any other half-arsed modern equivalent of the form. A tent, a fire, food and drink – that’s really all you need. Sadly, in the real world and with three kids you need a car full of crap including, but not limited to, iPods, iPads, iPhones, chargers, crisps, chocolates, books, magazines, pillows, sleeping bags, bags full of clothes (enough for a week in my daughter’s case), a barbeque, coals, lighter fluid, torches, kitchen roll, about four plastic bags (the ones that take 1,000 years to decompose) of food from the supermarket, waterproofs and plenty of beer, wine and any other alcohol you can get your hands on to get you through hour upon hour of cold, dark nighttime. 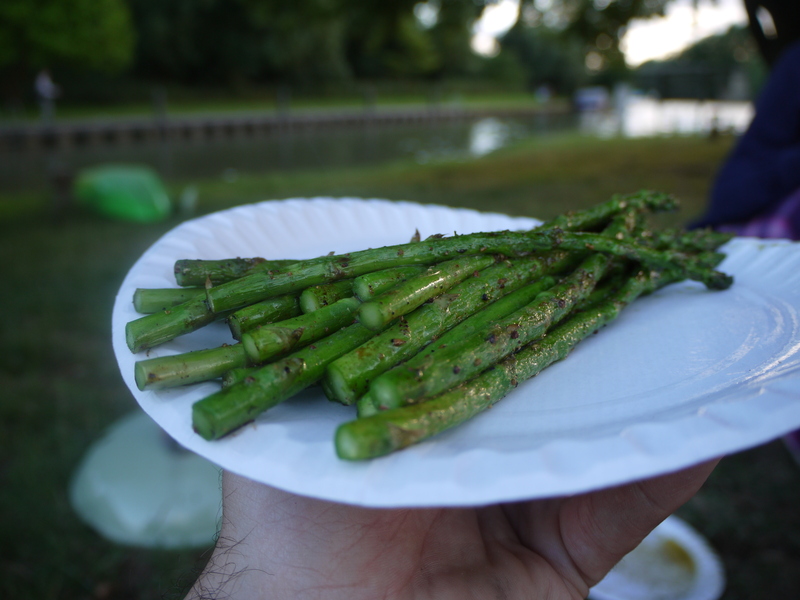 Get a bunch of asparagus, rub generously with salt, pepper and lots of olive oil. Stick it on the barbeque. Cook it. Get a load of chicken pieces, rub generously with a mixture of the following (that you can make in advance and bring with you in a jar): three cardamom pods, two star anise, two tablespoons of cumin seeds, coriander seeds and sea salt, one tablespoon of peppercorns, fennel seeds, and half a cinnamon stick, all ground into a powder. Stick them on the barbeque. Cook them. Get a pineapple. Peel it and cut it into thick slices. Stick them on the barbeque. Cook them. This entry was posted in Meaty, Sweet things, Vegetarian and tagged asparagus, camping, chicken, pineapple on August 4, 2013 by Jonny Kaldor.